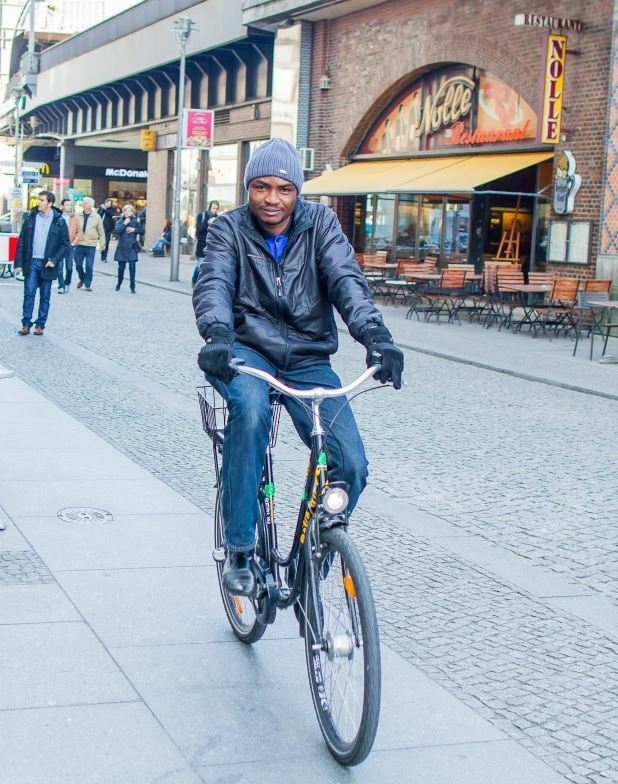 Abubakar Adam Ibrahim, who really is this cool guy that we would find smiling or just being cool more often than not? I wish I know this cool guy you are referring to, Su’eddie. I am just me, I suppose. I was born and bred in Jos but I live in Abuja now where I work as a journalist writing about arts and culture and other things that interest me. I write fiction also. Mostly prose, my poetry is very, very occasional. What is the story of your writing? How did it all start, when did you get serious with it? My desire to tell stories is innate, I guess. Before I could write as a child, I would tell stories with a series of drawings in the fashion of comic magazines. But then I learned to write and started writing down stories in a typical puerile sense of course. I wrote about things that would interest a child and progressed as I aged. It was all fun until my brother asked me to enter for a radio play competition and when I eventually did, I realized that was what I wanted to do for the rest of my life, to write. It has been serious for me since then. Born writer then? Okay. So, what’s your take on writing generally? My thought on writing is relative of course since for me it is an inborn passion. It is a way of life, it is life. So from this perspective, writing is an avenue through which one does not only express thoughts and creativity, but also through which one exists. It is that winding path that in some instances leads to immortality and sometimes a lot of people are in pursuit of this immortality and have their names endure like Chaucer, like Shakespeare, like Chekhov. But there are those who are lured to writing by the glitz, as opposed to the grit of etching ones name in the rock of time, and these are the writers who are drawn to easy success, who rush to printers with barely completed manuscripts or do all that cyber hustling we have been witnessing recently on social media all in the name of writing. So writing means different things to different people and different people come to writing for different reasons. Are there people that inspired your writing? Not just the books read and the like, the real people who made it for you. I don’t know if there is any one individual I can credit with my writing since my passion for writing is somewhat inborn. I did not start meeting other writers until after I had won the BBC prize in 2007. So prior to that I was like this hermit in isolation, writing in the obscurity of my room. But if my brother hadn’t insisted I enter for that prize in the first place, perhaps I wouldn’t be here so if there is any person I would put it down to it would be him. So, let’s say your brother is the main person who made it for you. You have linked your establishment much with him. We thank the Almighty for him, who knows what might have happened if he didn’t convince you. Well, still on the inspiration and making questions: Which books have really inspired you the most? Which writers? I remember my earliest influence being Anthony Hope. I read his Prisoner of Zenda when I was 12 and wanted to write like him, the way he structured his sentences, the way he used language. Later I discovered Ben Okri’s Famished Road and thought it was brilliant. It opened me up to the possibilities of magical realism. And then I discovered writers like Gabriel Garcia Marquez, Toni Morrison and many others. We are continuously being influenced by other writers we read but in the main I try to remain true to myself in the way I write my stories. To your short story collection, The Whispering Trees. It was published traditionally by Parresia with a sign-on fee for you as an author. How did the deal come about and what was the whole writing plus publishing process like? I am not certain I know all the answers to that question. What I know is that I was writing my short stories for different reasons. And when I was writing them down, I never ever imagined I would publish a collection of shorts, I was always thinking of writing a novel. But some of these stories had been published online, some in newspapers and then one day, Uche Peter Umez, who is a wonderful writer and a totally amazing person came to me at work and said, I think you have enough short stories to put in a collection and they are really good, so you should put them together and see. My initial reaction was surprise and the thought that I would never do that. But then here was a totally awesome guy telling you something nice like this and encouraging you, and to think he sought you out for it, so I started collecting the stories together. Incidentally, I was talking with Richard Ali about a short story I had just written and he said to me, look, we are trying to start a publishing company with this woman and we think we would like to start with your collection of short stories. I was a bit sceptical initially because I had no idea who the other partner was. It turned out her name is Azafi and she had read one of my short stories online and had fallen in love with it and she had called Richard to ask if he knew me and he said yes. So, she said ok, let’s reach out to this guy and see if we can start Parresia with him. So that was how the offer came. And because at the time, I had acted on Uche’s advice, I had put the stories together, selected the 12 I felt would go into any collection I will likely have and I sent it to them. They read them and said well, definitely we are publishing this. And here we are. Which story is your favourite in the collection? This is not a fair question, Su’eddie. Not a fair one at all. But I will oblige you. I have many favourites, all for different reasons, of course. One of them being ‘The Whirlwind’. I almost fell in love with the character of Kyakkyawa. I was intrigued by her. And I have met people who have read the story and confronted me about her and the situation of her life and how things played out with her. It is always funny the way some people want to take it personal with me over her fate. The title story, ‘The Whispering Trees’ is another favourite, purely for sentimental reasons, not because it is masterfully written. It was the first story I wrote way back and it was significant in that it marked some really significant transformation in my life. I also have a soft spot for ‘The Garbage Man.’ In the entire collection, it was the most challenging to write and I wrote it over a period of two years. It didn’t flow out like the others; it came in staccatos, one paragraph, sometimes two. And sometimes for months, nothing comes with regards to that story so I moved on to other things. After two years, after I had written the last word, I took the story apart and re-wrote it. And it remains the only story I had to re-write in that collection. natural. What’s your view of the supernatural in human affairs generally? Can you discuss it in relation to your stories? As an African, I think our connection to the supernatural is greater than we are willing to admit. We grew up hearing ghost stories, hearing about gwaigwais in boarding schools, about inexplicable apparitions and influences. Whether we can empirically prove the existence of the supernatural is irrelevant to me at this point. What I find significant and I think I tried to capture in some of the stories is the impact these beliefs have on many people and how they live their lives. How their lives, and sometimes their deaths, are streamlined and governed by these beliefs. But my principal concern has been to interrogate the often neglected fundamentals of our existence, the things that constitute our dreams and realities without us really realising how significant they are, and how we react if these fundamentals are tampered with, as often happens. In The Whispering Trees, there is a Northern feel to most of the stories – characters and setting. Is it deliberate? What informed this? It was deliberate, yes. I am writing about a people and culture I am very familiar with and which I feel has been under storified in the canon of Nigerian literature. And this is a huge geographical spread we are talking about, as well a significant population. We have previously had the likes of Cyprian Ekwensi, an Igbo man, none the less, writing about this part and most often the north is romanticised in such literature. In contemporary writing, the portrayal of this region and its people as cesspit of violent ignoramuses, not without cause admittedly, is the order of the day. But there is a lot more going on in this part and there are a lot more coming out of these part than the stereotyped maigadi [security man also derogatively called ‘Aboki’] whose English is the butts of jokes in contemporary literature and home videos and so on. There is no single story about the north, about Nigeria. The people in this part of the country share universal concerns as other people in the word; they worry about broken hearts, about failed marriages, about their children joining Boko Haram, about coping with grief, about their internet connections not working properly, about viruses on their computers and broken phones or Ipads and so on. For me, it is about capturing the human condition in this wide geographical spread, and anywhere else that my muse fancies. You have strong female characters in your works on whom the destinies of men are hinged. They are scattered everywhere in your collection – Kyakkyakawa in ‘The Whirlwind‘, Farida in ‘Night calls’… Almost all of the stories, in fact. 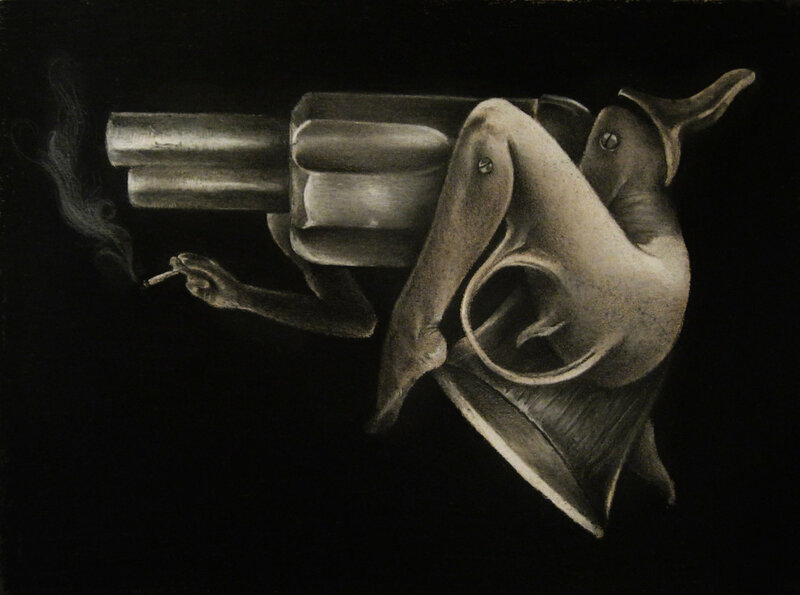 What informs this portrayal and what’s your take on women and gender in general? Ironically someone kept bugging me about what he sees as the vilification of women in some of my stories and I wondered what on earth he was talking about. I respect women for what they are, for what they do, for what they represent and I find them rather fascinating entities. They bring a lot of dynamism to a story and most of them are stronger than we would want to give them credit for. I do not buy into this idea of feminism where women are expected to be portrayed as perfect, as indomitable as heroines as opposed to anything else. There are really strong women like Kyakkyawa in ‘The Whirlwind’, or determined women like the butterfly girl in ‘Twilight and Mist’, there are bad women like Barira in ‘Closure’ or even Farida in ‘Night Calls’. There are really good women like Faulata in ‘The Whispering Trees’ and there perplexed or confused women like Zainab in ‘The Garbage Man’. There are all sorts, a whole range of them, and I tried to capture them in this collection. 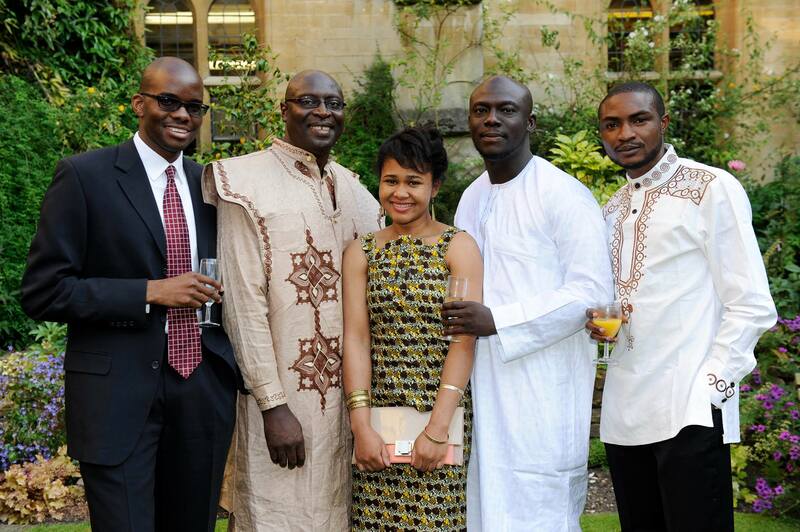 The Caine Prize shortlist: four Nigerians on the shortlist with two buddies, Elnathan John and you there. How did the magic happen? What was your reaction and can you relive the moment of the experience for us? Relive the moment? What moment? It wasn’t as much fun as people thought. The irony about being on such a platform is that your story is just a story but because it has been shortlisted for such a major prize it suddenly becomes an “African story” and people who call themselves experts want to pull it in different directions to meet certain criteria of what an “African story” should be. It is not an African story. It is just Salim’s story. I have absolutely no idea how the magic, as you called it, happened. I wasn’t aware Elnathan John had entered for the Caine this year. We didn’t sit down and say ‘Ok, how do we get on the Caine Prize shortlist this year?’ It was just incidental that our separate publishers sent in our stories and they happened to have been shortlisted. It was also incredible to see a lot of Nigerians on the shortlist. Four out of five. And yet in 2010 and 2011 there wasn’t even a single Nigerian on the shortlist, so there is no telling how these things work. But I think it has done a lot of good to the morale of writers here in Nigeria, especially the young ones who are hustling to write and are struggling with how to find electricity to connect their laptop to write or how they are going to publish these stories. I am excited about the shortlist for that reason. There was some talk about your harsh reaction to Chimamanda Adichie’s comment about the Caine prize not really been representative of Africa’s best short stories. What’s your take on it? My take is that everyone is entitled to their opinions and to their say. I have had my say on this issue and a lot of people had their say as well. I am not one to be going over the same incident over and over again, especially a notorious one as such. I will not defend the Caine Prize, I am not its spokesman, but I will speak for the struggling Nigerian writer who is working his socks off to get something done and make headway without the privileges some people enjoy. It is absurd to assume that the Caine Prize is representative of the best African fiction, not even the Nobel is necessarily representative of the best fiction in the world. But what the Caine Prize has done for African writing in the last 14 years is incredible and people should appreciate that. Concise. Let’s spare extra steam on that. In the spirit of awards still, let us in on the awards that have lined your literary career and the ones you are eyeing. I have said this before, long before the Caine Prize shortlist, in fact immediately after The Whispering Trees was published, the biggest prize I covet is to win the readers’ heart. How many awards did Shakespeare or Dickens win? For me, my priority remains winning my readers’ heart and I got an incredible amount of goodwill during the run up to the Caine Prize and I am still overwhelmed by it and I truly, truly appreciate the support. It was amazing. The fact that people from across the world read the story and felt a connection with the characters for me was a great positive to take away from the entire experience. As for the prizes that have come my way, I am grateful for them. I was fortunate to win them. With prizes there is always that element of luck and I think I was lucky in most instances. Aha! 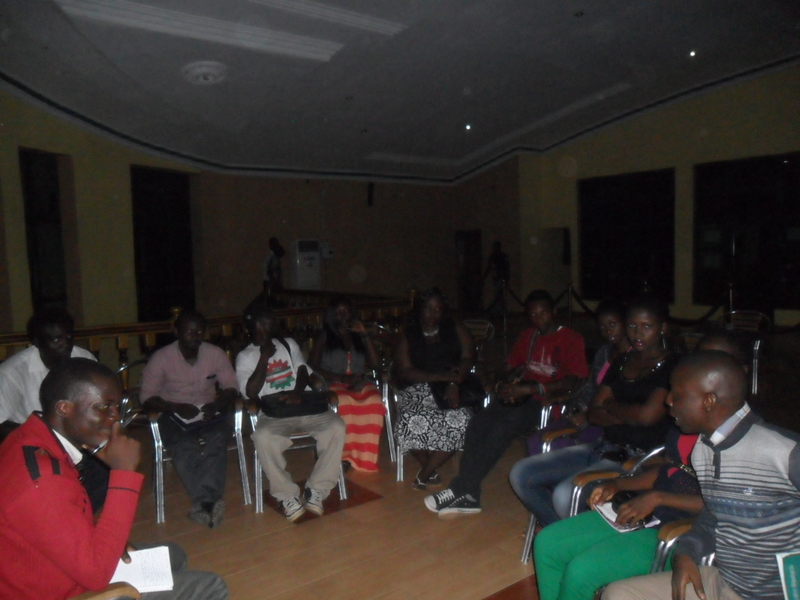 Now, you get the spirit of my question on reliving the moment of the Caine prize. I nearly invoked those your spirits to come and give you understanding aid (Smiles). I think that truly is special – the heart of the reader. Nice one, Abubakar. I admire that. I would quote that somewhere for use too. Hee hee hee. Don’t worry, I had it already so don’t think I got it from you first. Well, for asking sake, what is literary journalism and how does it affect literature in general? Well, shouldn’t this be an academic question? Literary journalism is deployed in two ways. One is the journalism that focuses on literature, writers, literary events and so on. The other, and this is often in core journalism, the style of reportage that brings some elements of fiction narrative into news reportage. So instead of the traditional, straight jacket coverage of news or features, the journalist takes some stylistic liberties to embellish his reportage for instance being more descriptive, more ornamented diction, all these without distorting the facts. The key question there is how does literary journalism affect literature – that is, this literary journalism. Well, let’s skip it a bit. Can you let us in on your journalism and all? The excitement of it, best and worst moments and the like. Journalism for me was a deliberate choice. growing up in Jos. 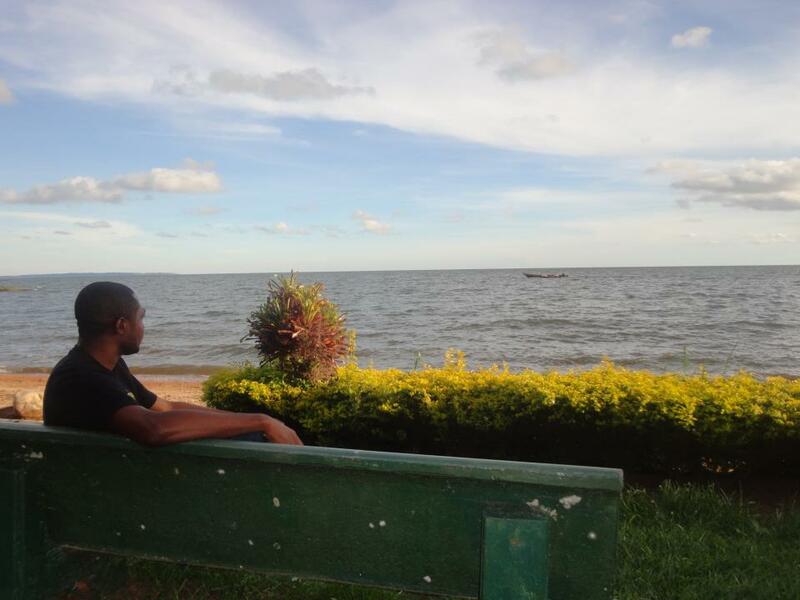 I realised that I wanted to be a writer and I didn’t think I needed any formal training to write but I realised I needed exposure, an opportunity to travel and meet people and interact with them. So I chose to study journalism in order to do that. Now I am ok engaging a junkie in a conversation or interview as I am grilling a senator or minister and the wonderful thing is that they will both open up to you because of the position you occupy. My best moment is writing about arts and culture, being in my home zone. My worst moment in journalism was reporting a massacre in Jos. I wrote the story and realised my face was wet with tears. It was a moving moment for me. Maybe you should fix that into a story someday. I feel you on it. How has your job as a journalist affected you as a writer? Other than taking a lot of my time? Well, it has given me what I wanted it to give me—access to all sorts of people, political big wigs, common folks who would want you to listen to their story because they want it told and would open up to you. It helps, if one is observant in creating more believable characters. It has also given me access to all sorts of writers and people working in the creative industry. But otherwise, I think my writing is trying very much to retain its own identity outside of these influences. What’s your take on contemporary African writing? Contemporary African writing? There is a lot of it going on and the social media has stepped in, in the absence of publishing industries, to open up the literary space. You could sit in your room and read writers from Uganda or Kenya or South Africa on your laptop or mobile phone. There is a lot of it going on, a lot of people are writing and taking courage from the inroads being made by other young writers. Abubakar, if there is one thing I know about you – and I do know a lot but don’t worry, I wouldn’t tell them those secrets – it is, that you read a lot and seem to be always reading. Now, who’s world are you stealing into at the moment? Currently, I am reading Anton Chekhov, the Russian master of the short story. It’s about time I discovered him, I think. I guess so. The Russians surely are in a class of their own when it comes to that genre. What are you currently working on? A novel. Hopefully, if my publishers find it interesting enough to publish, we will see what happens. What other genre should we hope to see you as the time goes on? Most likely prose, and then prose, and then more prose. I don’t know if I have anything sagely to say here. But I have always thought it is wise to invest in the pursuit of happiness. Whatever makes you happy, invest your time and resources in it. Life is too short to be miserable. Abubakar Adam Ibrahim’s major introduction to a lot of people was his presence in the now famous 4 Nigerian out of five Africans’ Caine Prize shortlist of 2013. Before that he had won the BBC Prize for BBC African Performance Prize (2007) and the ANA Plateau/Amatu Braide Prize for Prose (2008). He also emerged runner-up for the ANA Plateau Poetry Prize. More than that, he had already captured the hearts of a lot of people with his short stories spiced with emotions and in many cases, a dash of the supernatural. my mind with others and picking issues with certain aspects. 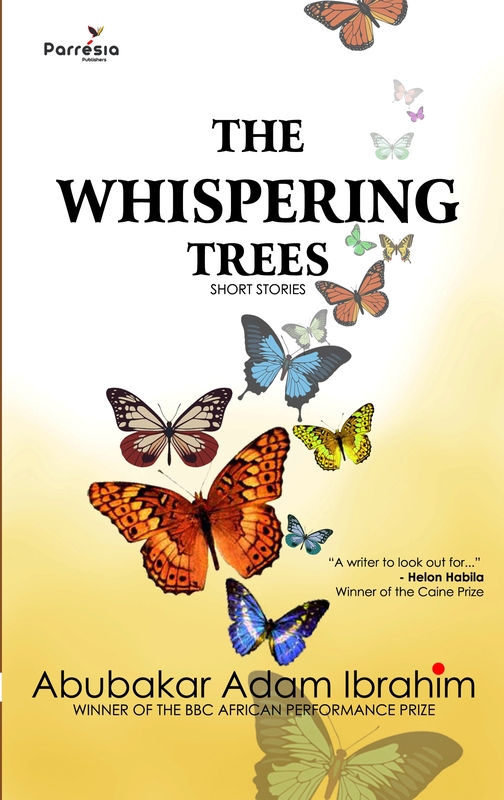 One of the stories that touched me deeply, after ‘Twilight and Mist’ is the title story, ‘The Whispering Trees’ (which is also the story that got Abubakar shortlisted for the Caine prize). The story starts with a man coming out of oblivion and wondering where he is. This man who is about to conquer the world finds his entire world upside down. He goes blind and nearly mad. Several things happen and eventually, he finds peace with himself and nature. Only then does Salim, our lead character and narrator, begin to ‘look beyond what he sees’ (apologies to Rafiki in Lion King). ‘The Whispering Trees’ is a story of hope, redemption and belief in the greatness of the spirit. There’s a dab of the supernatural like in most of the stories in the collection. I read the story on a certain trip from Makurdi to Abuja. I was touched, deeply touched. It made me to immediately make a point to change a certain story of mine that ended in tragedy. It brought to my mind something a friend, Chuma Nwokolo, once told me ‘There’s too much tragedy in reality. Give people something to look for. We can create better and give more’. That is what I believe that story does. Now, as Abubakar himself told me privately, the story isn’t one of his best – being one of the first stories he wrote, but it means a lot to him. It has come to mean much to me too and has affected lives. For instance, a certain man who was angry with his mother and wanted to punish her changed his mind to that of appreciation after reading that tale. He got his mother a gift instead. In the book The Whispering Trees, there is a noticeable presence of Northern Nigeria in both characterisation and setting. The names, Salim, Kyakkyawa; Barira, Danladi; the feelings, the moods, the ambience is Northern. The themes are varied with love, life, death, the supernatural, family, corruption, among others finding expression while criss-crossing themselves in different stories. There are powerful women characters like Kyakkyawa who makes men worship her in her near out-of-the-world beauty. She is so strong, wild and beautiful that almost everyone including her father fall helplessly in lovely lust with her. (I should add, even Abubakar – the author – near falls in love with this character.) At some point, in an attempt to tame her and get her out of the house before she causes damage and haram (taboo by seducing her father or relations), she is married to an old man, Alhaji Danladi who played in the sand with her grandfather. She threatens to tear Alhaji with a knife if he dares touch her. He does and she keeps her word. The door to the room is broken by Alhaji’s senior wives and children as Kyakkyawa keeps stabbing at him. He divorces her as is allowed in their tradition – just a verbal pronouncement. When Alhaji is discharged from the hospital, he bails Kyakkyawa and tries to get her back but well, his pronouncement stands. So much else happens as the daring lady keeps making them all to stoop. Enough about the book already… The question now is who is Abubakar Adam Ibrahim? Abubakar Adam Ibrahim was born in Jos. He has a degree in Mass Communication from the University of Jos, Nigeria (2006). Following the trail of his degree, he had a stint with the famous Vanguard newspaper. 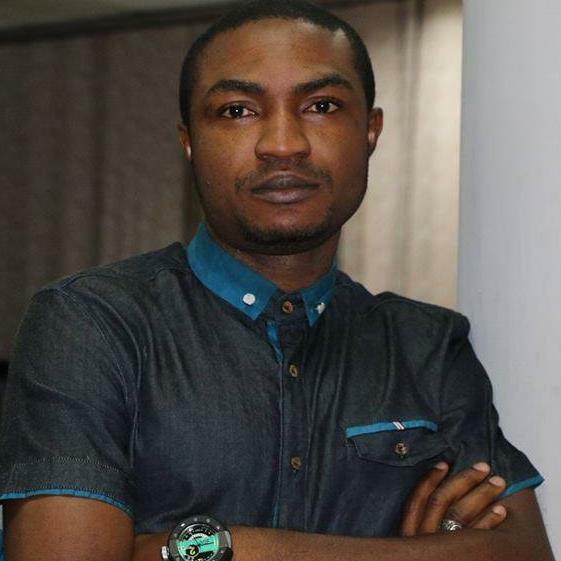 Along the line, the Sunday Trust newspapers in Abuja hired his services as Arts Editor which he maintains till date. He is a fellow of the British Council Radiophonics creative writing workshop and has been selected for the Fidelity Bank Creative Writing Workshop as well as the Caine Prize for African Writing workshop (2012). 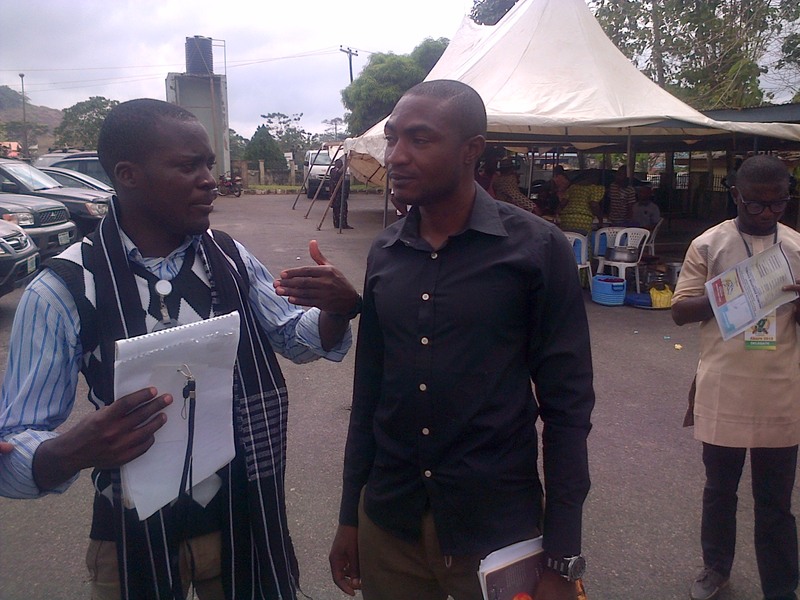 Abubakar recalls that his brother, Rufai, encouraged him the most to write in the early days. Abubakar did and found out it was what he wanted to do. finds an easy exploration of all the genres. Little wonder then that one finds various published contributions of this writer across the several genres. However, prose with its more generous allowance for description and variant exploration steals his attention more. 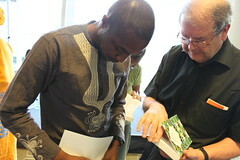 He has been featured in different anthologies including Daughters of Even and other New Short stories from Nigeria. The internet boasts several contributions from him (especially in short fiction and essays) which have been received to acclaim internationally. Despite this, his first published work is a collection of short stories, The Whispering Trees (published by Parresia Publishers in 2012). Abubakar Adam Ibrahim’s writings are largely cultural in perspective. His style of writing as especially espoused in his collection of short stories is that of the traditional storytellers of old. His major themes weave around everyday life, mysticism, philosophy and the usual commitment of the African writer showcasing societal ills – though his is with a fresh outlook. His settings are mostly Northern Nigeria and in many cases, rural or semirural. Abubakar is in a class of his own and though he has his many faults like most of us, a lot of people have testified that he does know how to make a difference – whether in sparks or just the random care he shows. There’s so much more said, done and known that if put, would give us lots of books. Well, please, join me in conversation with Abubakar Adam Ibrahim here… There are links to his short stories ‘Twilight and Mist’ and ‘The Whispering Trees’. You can also follow Abubakar’s fascinating blog that features lovely travelogues, essays and interviews with top African writers, leaders and interesting people. Please, let’s have your thoughts. DEADLINE for submission is JUNE 30, 2013. Only those accepted to the workshop will be notified by JULY 22, 2013.